The small-bodied species of the Skyrian horse is one of the rarest horse breeds in the world. It was native to Greece, and in ancient times lived throughout the country. 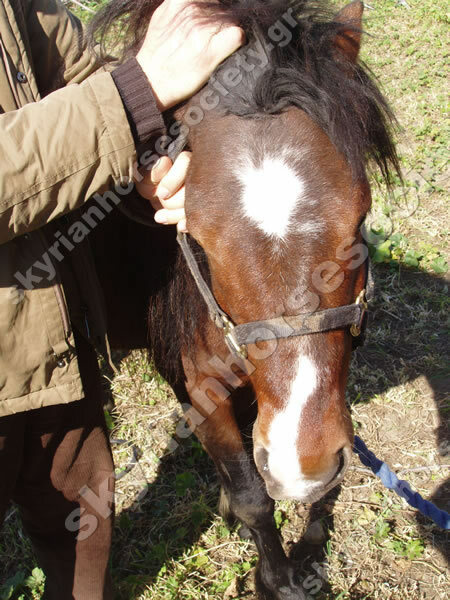 At the time of writing  there are 220 Skyrian horses in Greece, of which 152 live in Skyros. The Skyrian horse is a protected species. 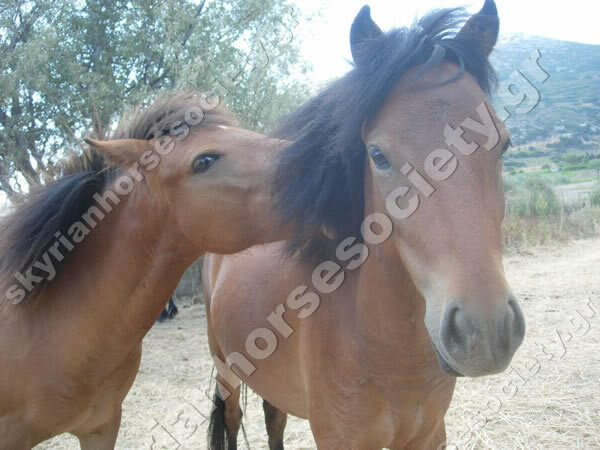 The Skyrian horses are friendly, social, robust, intelligent animals; they are particularly friendly breed. Maximum height is 116 cm. 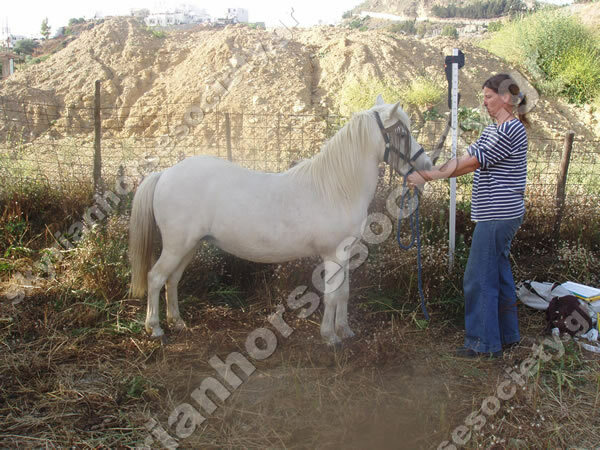 and body-type is similar to that of the large horse. The head is very handsome, the mane being long and richly coloured, usually in a hue darker than skin colour. Compared to other horses, they have a big belly. Their legs are slim, strong and wiry, with strong joints. The tail is low set, tasseled and long. 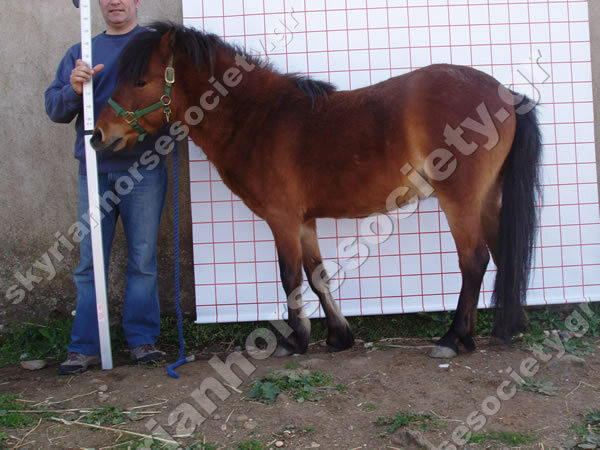 Often it reaches the hooves, which are small, hard, usually black in colour, and do not need shoeing. A particular characteristic are the hairs on the fetlocks, the so-called feathers. Colour is usually a brown-red or chestnut hue, sometimes white or grey-brown, rarely blond. Some individuals have a white mark on their face (star- or rebas-shaped). 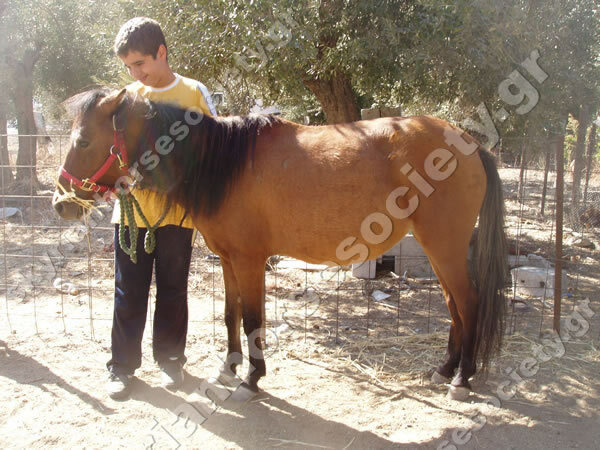 The Skyrian horse belongs to the species Equus Cabalus but because of its small size it is considered a different race designated Equus Cabalus Skyros Poni or Equus Cabalus Skyriano.